Having two young nieces (one and two-year old), I’ve developed an interest in children items and furniture design. 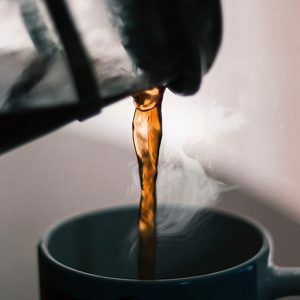 In this article I will focus on babies and toddler’s high chairs. 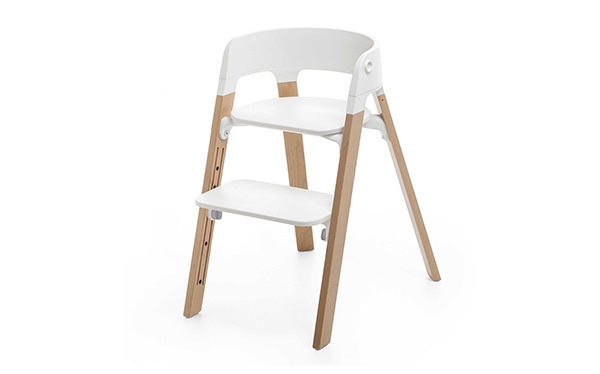 A beautifully designed minimalist high chair can be a great piece for your home and your child. 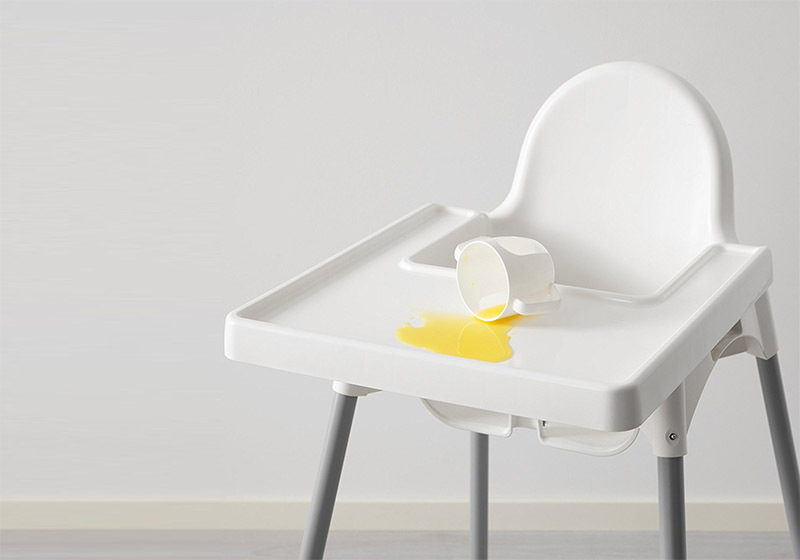 There are plenty of different high chairs with different designs on the internet, so I’ve spent time to put together a list of the 10 best modern minimalist high chairs. So without wasting any time, let’s start with the list! 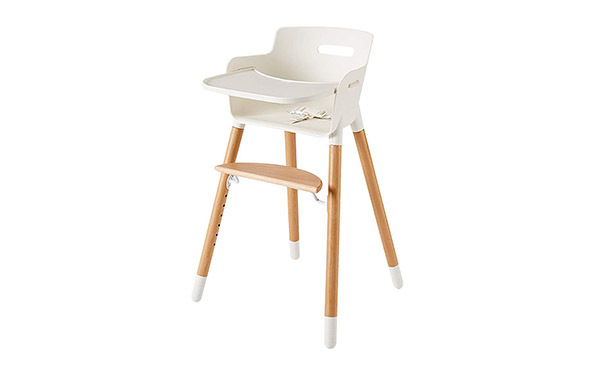 Stokke makes many beautifully designed children items, and this high chair is no exception. It has a gorgeous ladder style design, and a triangle design for it’s legs for both sides with a curved backrest at the top. The legs have a beautiful natural wooden finish which gives it a natural and cozy feel. The footrest, seat and backrest are white which makes it look really clean and minimal overall. This high chair also comes in black and a version with beautiful grey legs. The footrest is adjustable which is great to support your child’s feet comfortably. The surfaces are smooth which makes it easy to clean. 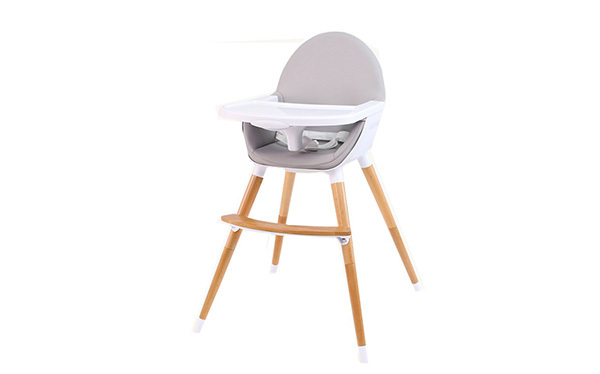 The high chair is made of solid Beech wood and PPC-PA which gives a great amount of durability and is long lasting. 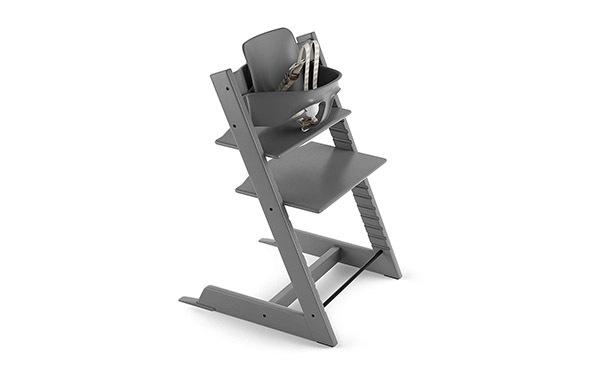 This high chair by BABYBJORN has a very modern and minimalist design, which is also somewhat futuristic in style. It has a white chair and table with black legs with white feet. Overall, it looks triangular with a soft top backrest. 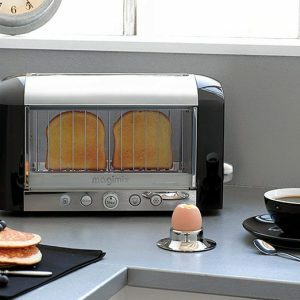 The design is ergonomic which is great for feeding and eating. The backrest is designed to hug the child’s body and be comfortable. The chair is made of safety-tested plastic which makes it super easy to keep clean and safe for the child. Another great thing about this high chair is that it is foldable which makes it conveniently portable and easily storable. The table has a safety lock and harness to keep the child firmly in place. 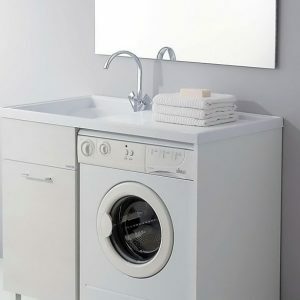 IKEA makes a lot of great products that have beautiful minimalist design while also being very reasonably priced. 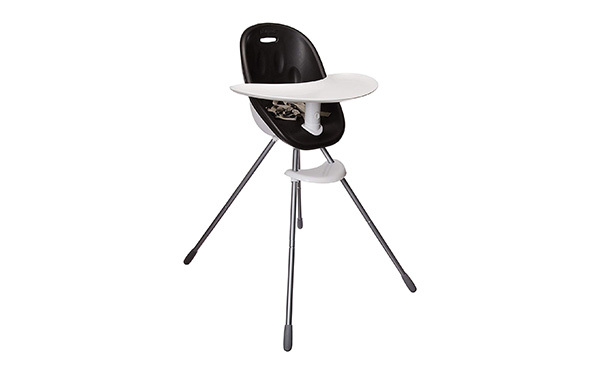 This high chair by them has a clean and sophisticated design. The chair has a white seat and table with sleek-looking silver legs with white feet. The backrest is curved which adds to the soft minimalist look. This high chair has a safety belt included to keep the child safely in place. 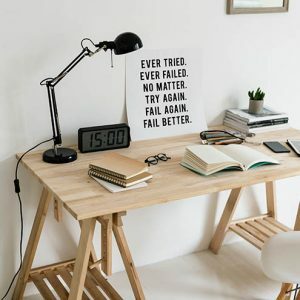 In terms of built, the seat and table are made of durable plastic which can withstand a great amount of weight, while the legs are made of sturdy metal which gives it stability. Because it is made of plastic, it is also easy to clean. Other than that, the chair is easy to assemble and dissemble which is great for moving around or storage. 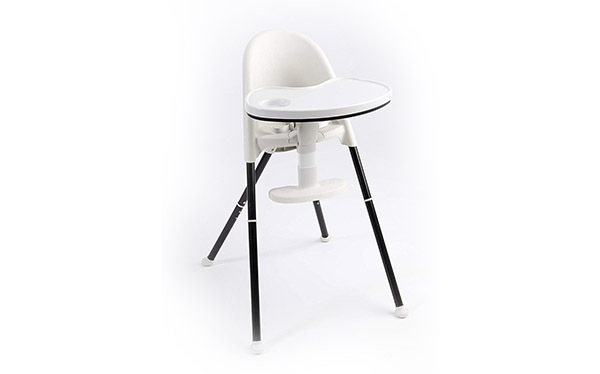 This high chair by XRX has a very upscale modern minimalist design. It has beautiful wooden legs with a footrest, a white seat and off-white tray with a purplish cushion. I think this high chair can easily fit a more expensive looking minimalist space. The gorgeous legs are made of Beech wood while the seat and tray are made of PP material. These materials gives the chair its durability and strength which can load up to 50 Kg of weight. Furthermore, the high chair is easy to clean. The tray and seat belt are conveniently removable. Also, the high chair is compact and easy to assemble. I love this high chair by Ambermier. It has elegant wooden legs with a footrest and gorgeous ergonomically designed seat and tray. The high chair looks superbly sophisticated and minimal. The seat is made of tough polypropylene material which is also long lasting. The legs on the other hand are made of durable Beech wood which can withstand a great amount of weight and are also shock-absorbent. This gives the high chair a high level of stability. The seat depth and footrest are easily adjustable. Furthermore, the table and seat cushion are easily cleanable. The high chair also comes with a safety harness. Other than that, the chair is foldable for easy carrying or storage. 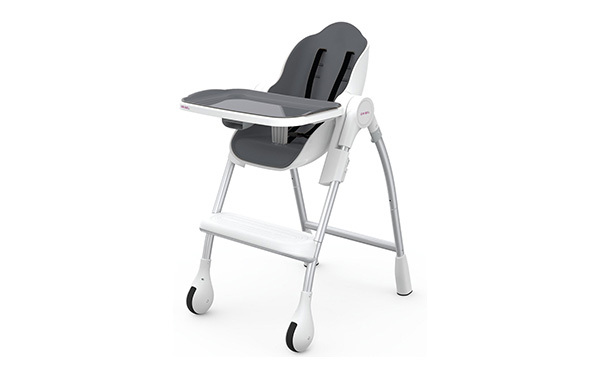 This high chair by phil & teds has a pyramid style legs with a beautiful ergonomic black seat and white tray. 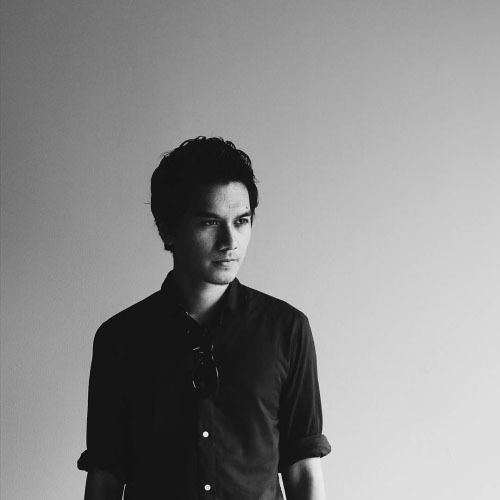 It looks minimalist and somewhat futuristic. It also comes in 3 other colors; Bubblegum, Cranberry, and Lime. The high chair is compact and also lightweight. 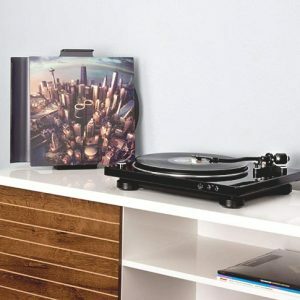 However, the built is very sturdy and can support up to 44 pounds. Furthermore, the seat is hypoallergenic, waterproof, non-toxic and easy to clean. The tray is removable and is dishwasher safe. This is a beautiful and sophisticated high chair by Oribel. It has metal legs with a footrest and round front feet. The seat has a nice cocoon-like design which can comfortably fit your toddler. 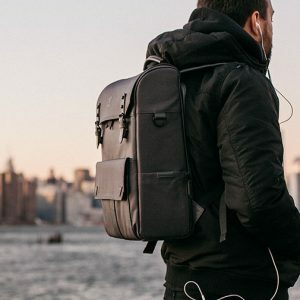 Overall, the design is gorgeous and functional. The seat is made of waterproof material which makes it easy to clean. 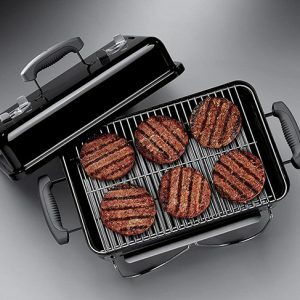 The feeding tray can be attached to the back of the high char with magnets. Also, the tray comes with a top insert which is dishwasher safe. Interestingly, the seat is adjustable with 6 height settings and 3 reclining positions which can be great for feeding and nap time. It also comes with a food and cup holder which you can swap with the feeding tray. The chair is suitable for children from 6 months of age to 3 years old. Furthermore, the high chair can support up to 45 pounds of weight. 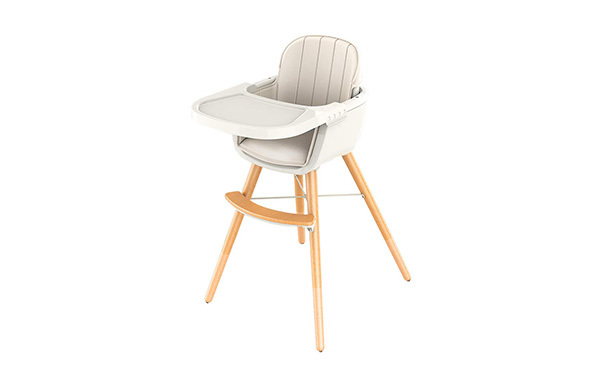 This high chair by Ashtonbee has a gorgeous and minimalist design. I love chairs with a wooden element. It gives a somewhat natural and cozy vibe. The seat is white with wooden footrest and legs. The seat is made of food-grade polypropylene material which is durable, and long lasting. 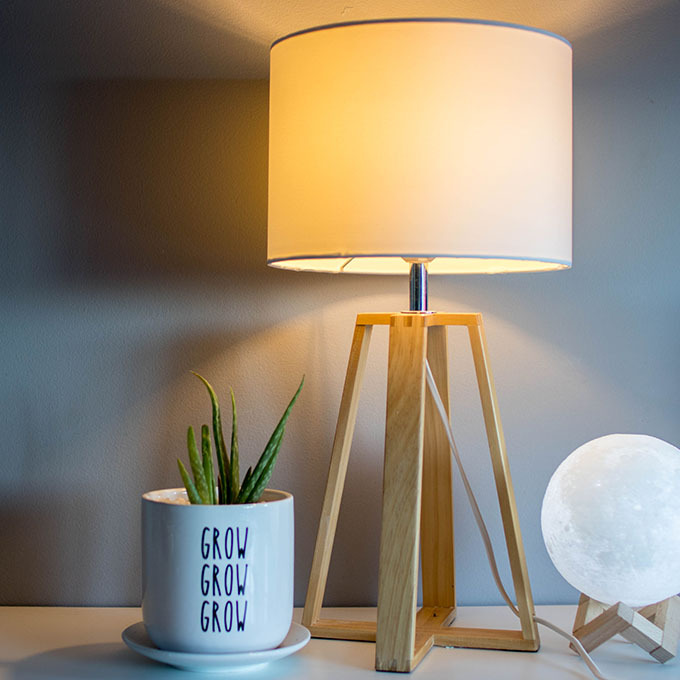 The legs are made of Beech wood with gives it sturdiness and is able to withstand a good amount of weight. 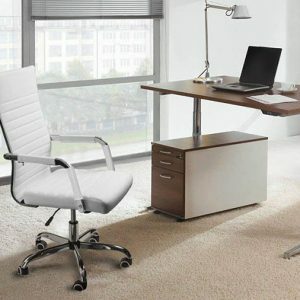 The chair’s height is adjustable to fit the right height for multiple purposes. The food tray is removable which makes it easy to clean and can give your child more space. Furthermore, the footrest is also adjustable with seven settings. 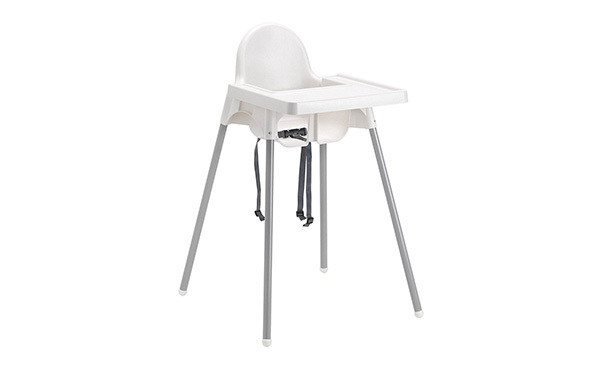 This high chair has a gorgeously designed white seat and tray with sleek black legs with white feet. I love the modern look of this chair. The chair is foldable which makes it easy to carry and for storage. The chair also has a 3-point safety harness to keep your baby or toddler comfortably in place. The chair height is also adjustable which is great to fit the right height of your child. The chair is also easy to clean and the top rack is dishwasher safe. The chair is suitable for children from 6 months to 3 years of age. This high chair by Stokke has a very unique and interesting design. It has a ladder style design and comes in 14 different colors which can suit your dining theme. The seat is adjustable and the footrest is also adjustable which is great for the right back and feet support for your child. The chair is also easy to clean by using a dampened cloth. The harness has 5-point safety to keep your child safely in place. Overall, this high chair is great if you’re looking for something unique and functional. I believe choosing the right modern minimalist high chair design can improve the experience of the parent and the child. 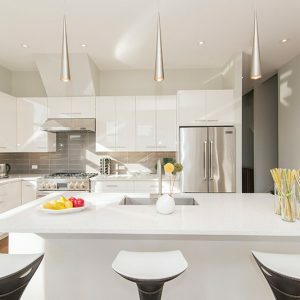 It can also improve the look of the dining space and avoid an eyesore. Hopefully you have enjoyed this list, and has helped you pick the right high chair for your child.